The Descente Terro Insulated Ski Jacket is equipped to keep you moving through the storm. The stretch fabric and Motion 3D Fit technology ensure absolute comfort and fit, while still giving skiers enough flexibility to move as needed. With 100G Thinsulate™ insulation, you're sure to stay warm even in the most frigid conditions. Stay in your happy place for longer, with the Descente Terro jacket. A full seam seal promises a dry experience made to last. Lycra cuffs provide an extra layer of protection against biting winds. Conveniently store and access the essentials with an inner mesh pocket, media pocket, and pass holder. "What color is the back of the two color choices left? The only photo with the back shown appears to be of a blue coat. Thank you." "Thank you for your inquiry. The back of the jackets matches the front. We have two colors we have available in Black/Midnight Shadow/Airway Blue and Black/Midnight Shadow/Electric Red. The blue jacket seen in the picture is a color we currently do not have in stock. We hope this information helps! " "Do you have any of these jackets left in a Large size. If so, what colors." "Thank you for your inquiry. 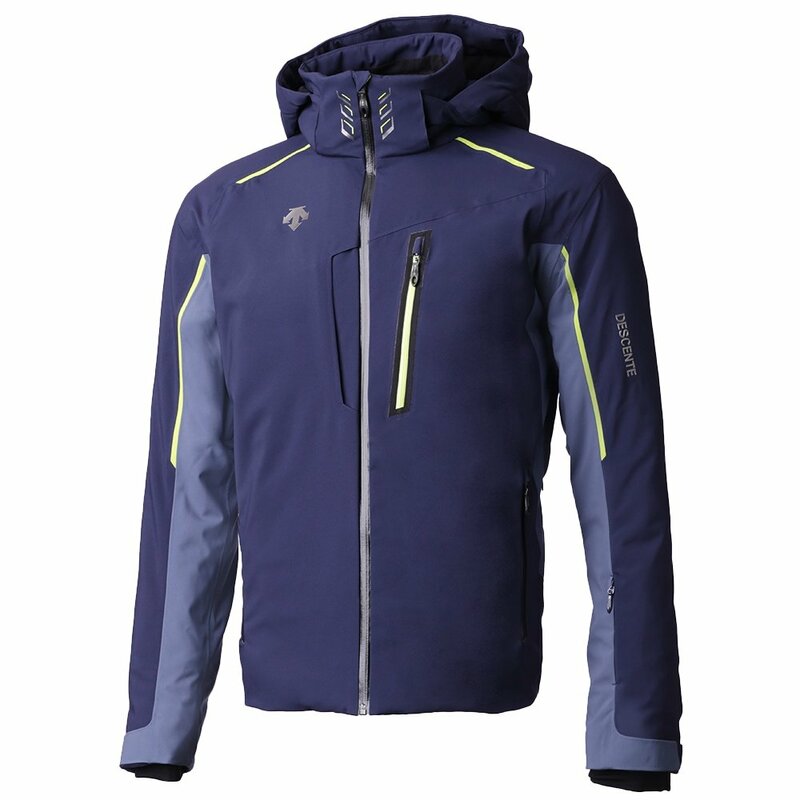 We currently do not have the Descente Terro Insulated Ski Jacket in size large. We hope this information helps! "